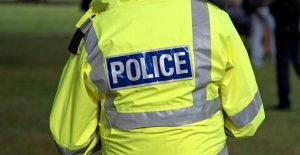 The Scottish Police Authority (SPA) has awarded mobile operator EE, part of BT Group, a £21m contract to supply mobile services to Police Scotland over a three year period. Assistant Chief Constable Malcolm Graham said, “This contract signifies the commitment Police Scotland and the SPA have in leading the force into a more digitally focused future. “The use of mobile devices will revolutionise the way officers and staff access systems, currently only available from desktop and laptop computers within police stations, enabling them to work on crime prevention and community-based policing to keep people safe, whether in the public, private or virtual space. Officers and staff who receive a device will no longer have to rely on multiple sources for information that will be made available on one device while out of the police station, as well as the ability to record information in a secure, digital format. David Wallace, BT’s Public Sector Director in Scotland and Chair of the BT Scotland board, said, “BT’s public sector team is pleased to be leading the delivery of this transformational project, which will use the latest technology to support policing in Scotland. Delivered via our EE mobile network – the biggest 4G network in the UK – today’s deal will enable thousands of police officers across Scotland to access the information they need, at the touch of a button.